Santa has to deliver a present, but he's very curious how long is the path he needs to travel. Lucky enough his path is well-aproximated by the function \(f(x)=-\sin (x-2.02)+\sin [(x-2.02)^2]+1.834\) on the interval \([0,4.343]\). 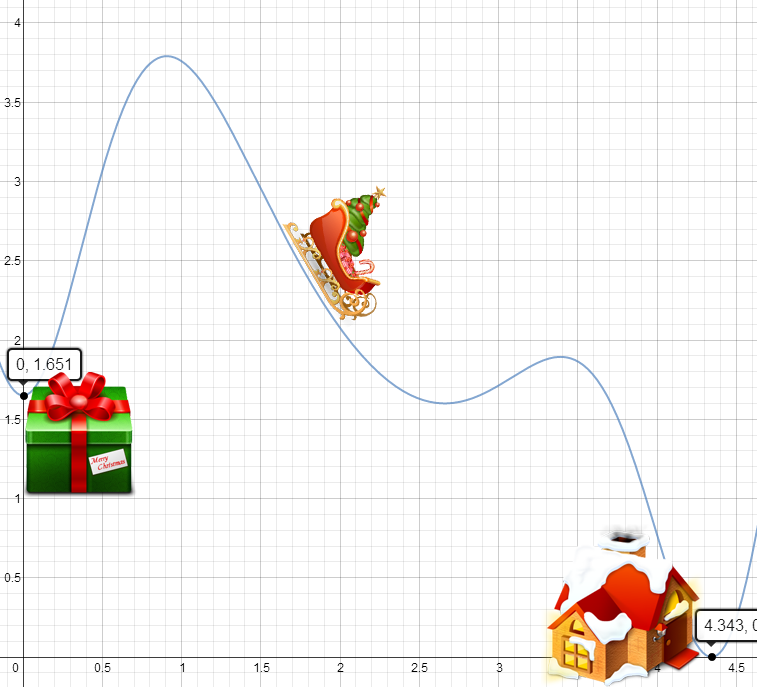 Please help Santa and find out the approximative length of the path. You may consult the following post on calcualtion of the length of the function. The answer to this Calculus problem is a real number.